If you look around, most of the waters we fish in the state are man-made bodies of water: reservoirs–man-made; sandpits–man-made; farm ponds–yep, man-made. When you consider how much time we spend fishing those man-made waters it is hard to imagine the time when Nebraska anglers had rivers, streams and a few natural lakes to fish and that was about it. I often tout the diversity of fish species and fishing opportunities we have in Nebraska and thankfully we have man-made habitats that support many of the sport fish we love to catch. Before the construction of all of those man-made waters, Nebraska anglers spent most of their time fishing for channel catfish and other river species that could be found in our rivers and streams. You know what, you still can catch fish from those rivers and streams! The Missouri River and the lower reaches of all of our rivers that are tributaries to the Missouri offer some excellent catfishing. Some of those rivers have excellent catfishing opportunities as you travel upstream as well, but unfortunately, man-made structures have been a detriment to channel catfish populations in almost all of Nebraska’s major rivers. In the age before diversion dams and other man-made barriers, channel catfish and other river species would migrate hundreds of miles up and down our rivers. In many Nebraska rivers fish may still move freely downstream, but man-made barriers prevent their movement back upstream. As a result there are stretches of Nebraska rivers that probably could support many more catfish and offer excellent fishing opportunities if there were passages or “by-passes” that would allow fish to migrate back upstream. In recent years there have been fish passages installed near Milburn on the Middle Loup River and near Bayard on the North Platte River. I hesitate to call those fish passageways “fish ladders” because we are not talking about trout and salmon making magnificent leaps to migrate back upstream; we are talking about catfish slogging along the bottom. 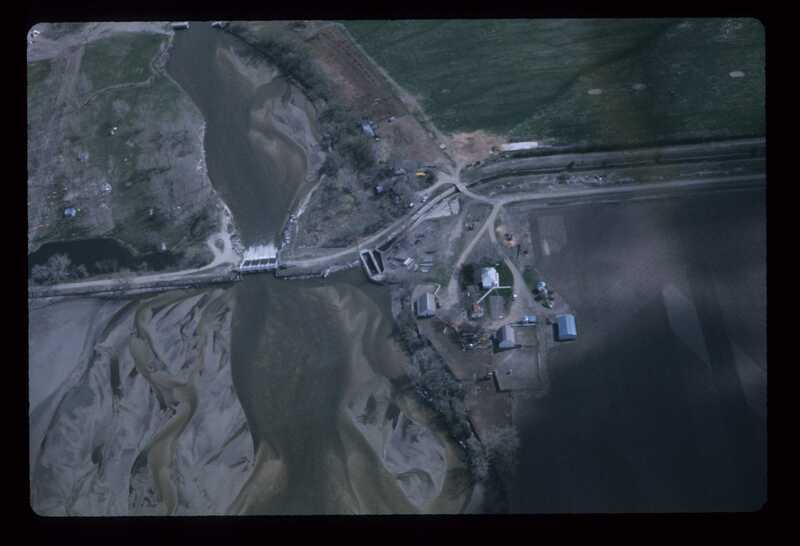 An example of a diversion structure fish barrier on a Nebraska river. 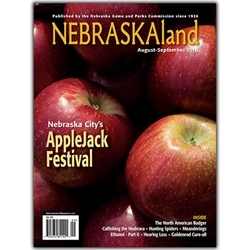 The current issue of NEBRASKAland has an excellent story in it about the channel catfish population in the Niobrara River, “Cats on the Niobrara” by Jon Farrar, http://shopoutdoornebraska.ne.gov/AspDotNetStoreFront/p-918-nebraskaland-magazine-aug-sep-2010.aspx . 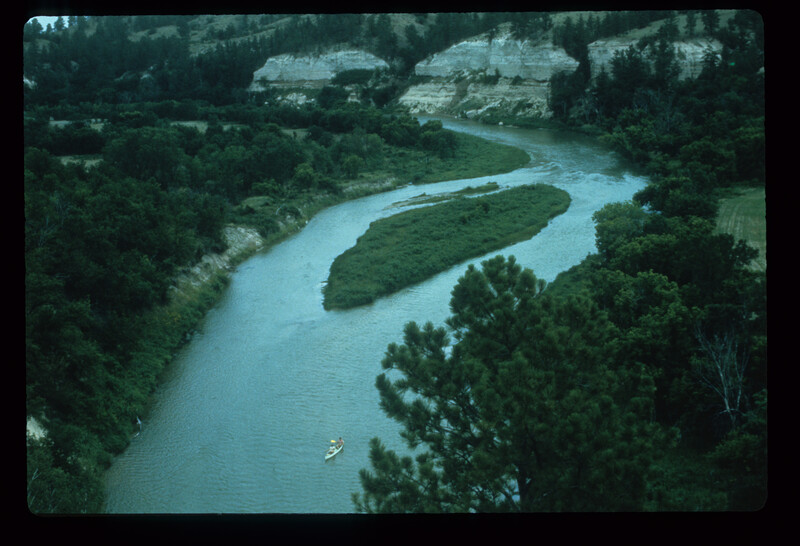 That story highlights some of the fish sampling that has been done in recent years on the Niobrara River. In short that sampling has documented an abundance of channel catfish below Spencer Dam (one of those barriers I have been talking about). My gramps used to catch catfish below Spencer Dam and anglers continue to catch cats there to this day, so it was no surprise that there was an abundance of catfish sampled in the lower Niobrara River. However, there is some concern about the health and body condition of those catfish, and Spencer Dam likely has an impact on natural river processes and productivity. What was surprising was the fish sampling on the Niobrara River above Spencer Dam revealed an excellent channel catfish population. That is a surprise because the dam prevents fish movement, so apparently there is a resident population of channel catfish in the Niobrara River above Spencer Dam and that population is thriving in that segment of the river without migrating downstream. One of the first channel catfish I ever caught was caught from the Niobrara River below Cornell Dam just east of Valentine (if you float the Niobrara, Cornell is the dam structure just above the float trip put-in site at the Ft. Niobrara National Wildlife Refuge). Once again we have known about channel catfish in the stretch of Niobrara between Cornell and Spencer, but recent sampling again revealed another surprise. There is a natural chute in the Niobrara River near Norden, and this Norden Chute has enough of a drop that it has apparently become a natural barrier to fish movement on that stretch of the Niobrara. There are not catfish at Cornell Dam anymore like there used to be because they are not able to migrate past the Norden Chute. In years past the Norden Chute did not have as great a drop as it now has and fish were able to navigate past that obstacle. Natural erosion and cutting has created the steeper drop and the Norden Chute is now functioning as a fish barrier. Over time, as the Norden Chute continues to erode, it will again reach a point where it is no longer a barrier. I realize this has been a rambling post, but if you are a catfish angler there has been some great information revealed by the recent work done by pointy-headed fish biologists on the Niobrara River. You can catch plenty of catfish below Spencer Dam, but that stretch of Niobrara above Spencer also has an excellent channel catfish population. I know most of the land adjacent to the Niobrara above Spencer is privately-owned and you would need landowner permission to fish those waters. But, if you can get on that stretch of the Niobrara, especially during the spring through early fall when the catfish are most likely to be moving and feeding, it should be worth your effort. There is some public access near Butte on the Parshall Bridge Wildlife Area. 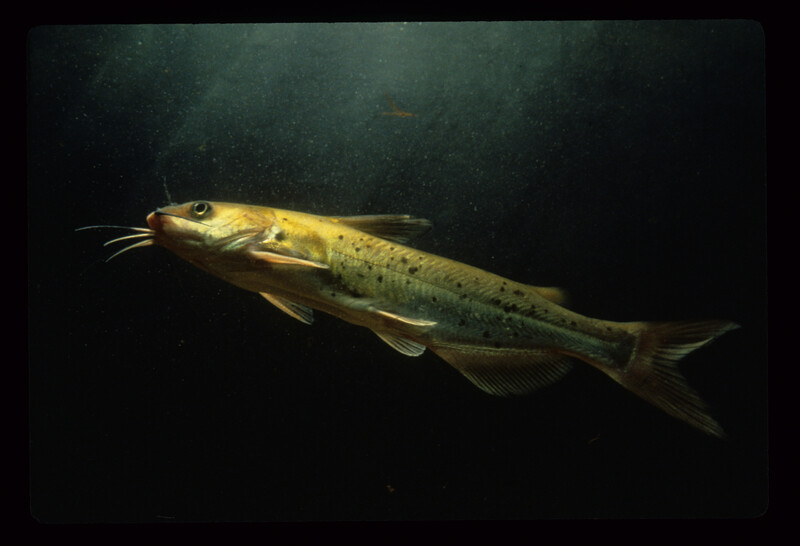 The typical catfish baits should catch fish on any river or stream; baitfish from the river itself may work the most consistently. Look for holes and fallen trees as those are the areas most likely to hold fish. The beauty of river and stream fishing for catfish, besides touching our fishing “roots”, is it is simple–some hooks, sinkers, bait and you should be good to go. If you really want to get in touch with the “old days”, dig out an old cane pole to dabble around those likely spots, or, gasp, I know a number of old-time river rats who adapted an old fly-rod or two for catching catfish!